The „Am Spiegeln“ is located within walking distance from the Wienerwald, 10’ from Schloss Schönbrunn and 25’ from the historical centre of Vienna. 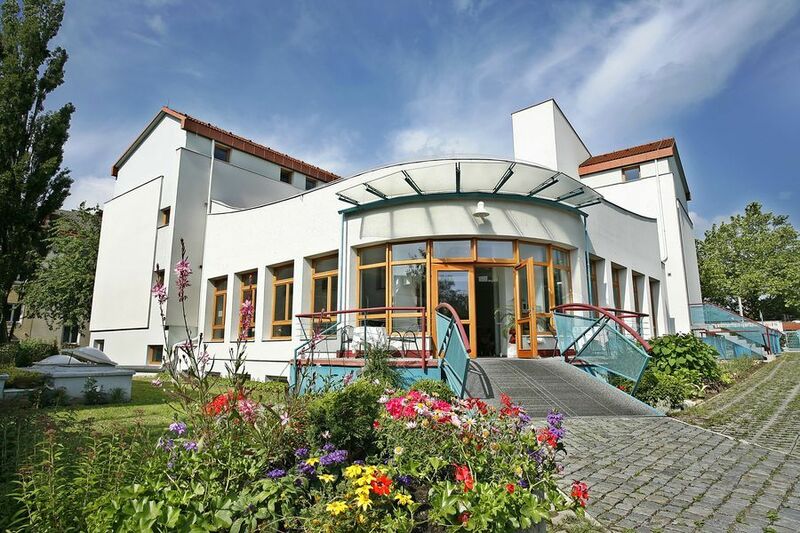 A tranquil and natural setting in the southern part of the Vienna, where we can offer our guests everything from an ideal environment for holidays and sightseeing, to premises equipped with top communication technology for conferences and events, as well as comfortable rooms for business travellers. Take the A21 direction Linz/St.Pölten. Leave it at Brunn am Gebirge. Continue in direction Wien-Liesing (Brunner Straße). turn left. Continue up to Lastenstraße and turn right. at the crossing Endresstraße turn left. Schwed-Gasse. Second street on the right (Friedensstraße). Second street left –Johann Hörbiger-Gasse. passing in front of the Schönbrunn Palace. at the next crossing take Grünebergstraße on the right. Turn slightly right into Gassmannstraße. Left on Stranzen-bergbrücke and along atzgersdorfer Straße. at the crossing Rosenhügelstraße take the latter. at the trafficlight turn left into Karl-Schwed-Gasse. Second street at left Johann-Hörbiger-Gasse. Liesing or Wiener Neustadt up to Atzgersdorf-Mauer. Underground U6 in direction Siebenhirten. Get off at Philadelphiabrücke/ Meidling. S-Bahn train (S1 or S2) in direction Liesing or Wiener Neustadt. in direction Liesing or Wiener Neustadt.